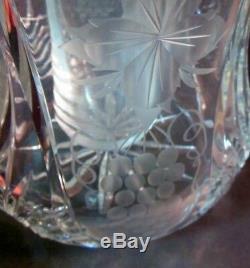 Vtg GERMAN Silverplate & Crystal Water Wine Claret Pitcher Barware Ice Insert. 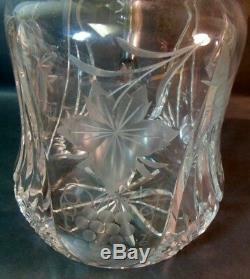 Offering a very lovely GERMAN etched Cut Glass/Crystal and Silver Plate Pitcher. Etched Grape and Grape Leaf Design. 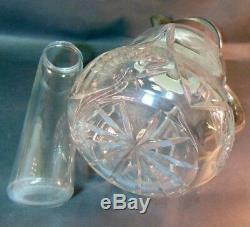 Has Insert/Tube for ice-- to keep beverage cold without ice melting and diluting the drink -- very handy and clever. 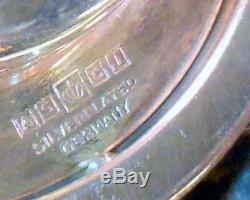 Silver plate is tarnished commensurate with age. 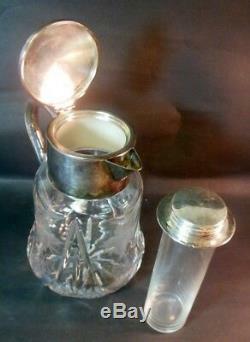 Tube has threaded silver plate lid, which rests securely in pitcher. 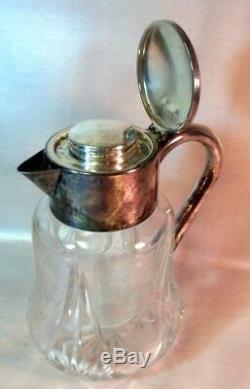 Pitcher lid hinge is secure and opens and closes easily and firmly. 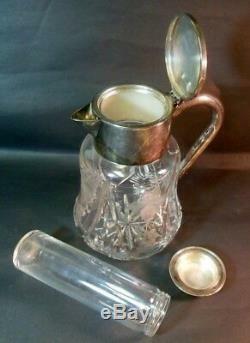 Approx-- 7 1/2 from end of handle to end of spout. 10 1/4 to top of lever on lid. We wrap all our items very carefully. 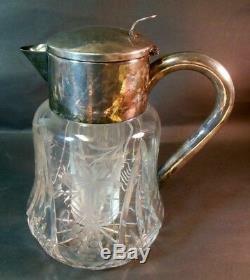 The item "Vtg GERMAN Silverplate & Crystal Water Wine Claret Pitcher Barware Ice Insert" is in sale since Friday, October 20, 2017. 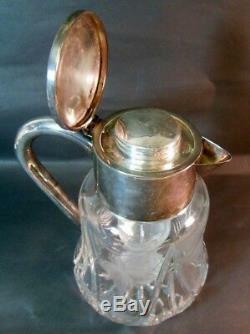 This item is in the category "Collectibles\Barware\Pitchers". The seller is "cathedralhillestates" and is located in Minneapolis, Minnesota.